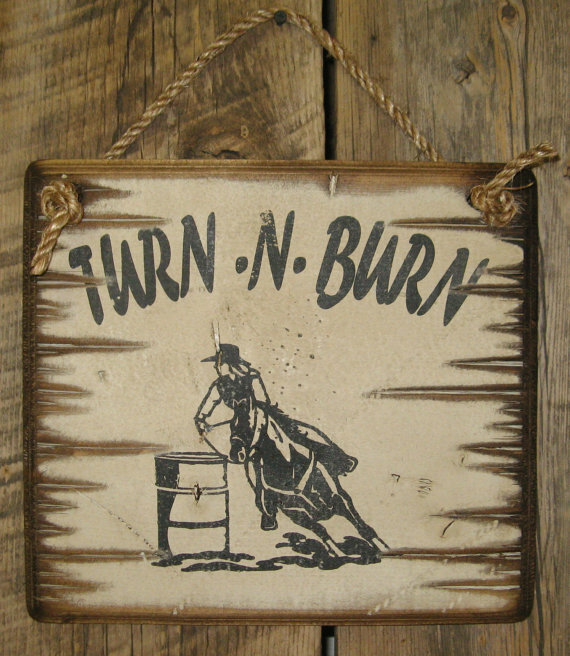 Turn N Burn! 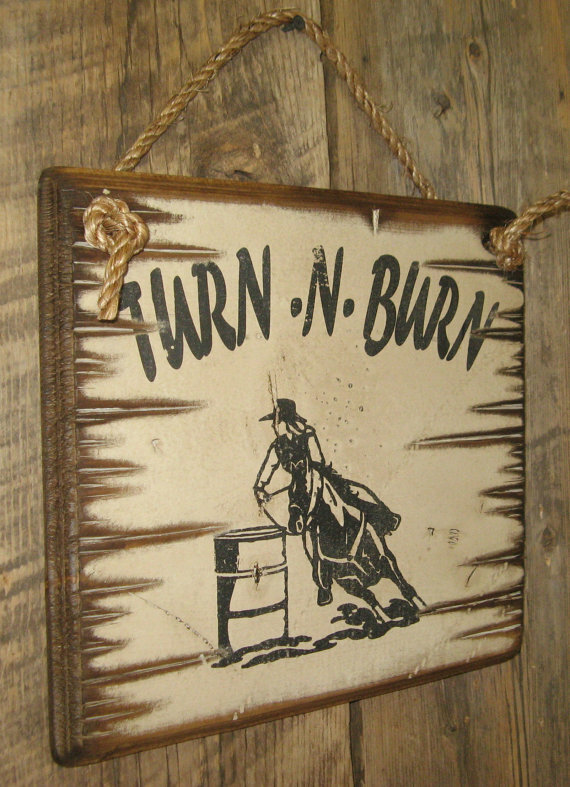 If you have ever barrel raced, you know what I mean! 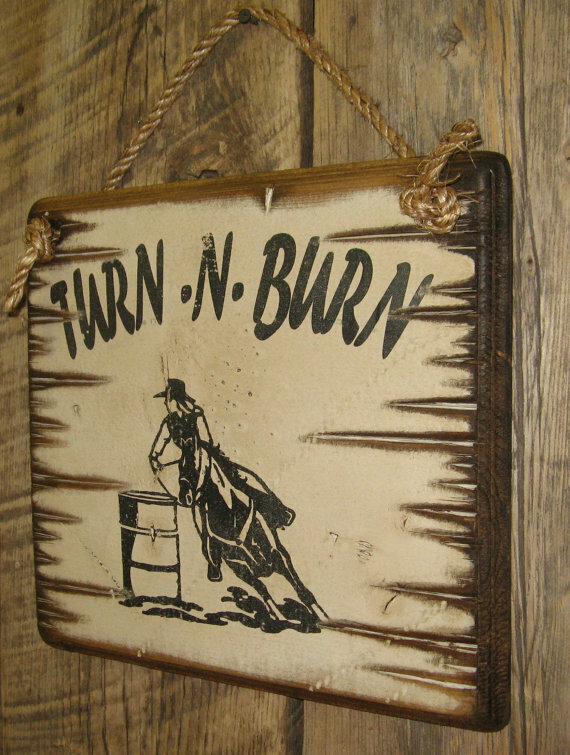 This sign measures 12x12, has a white background and a graphic of a woman making a turn on her horse. It comes with the grass rope hanger for easy hanging. Handcrafted with pride!